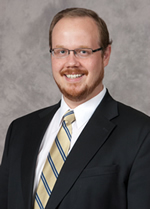 Dustin Chambers is a Professor of Economics in the Perdue School of Business at Salisbury University, a Senior Affiliated Scholar for the Mercatus Center at George Mason University and a Policy Advisor at the Heartland Institute. Dr. Chambers is an applied econometrician who has published widely on the topics of income inequality, poverty, and economic growth. His most recent research focuses on the regressive effects of government regulations, including their unintended impact on consumer prices, entrepreneurship, and social mobility vis-a-vis income inequality and poverty. He earned his MA in economics from UCLA and his PhD in economics from the University of California at Riverside.